This year was the schools first time at the Ozark Regional Convention in Warrensburg, MO and our students got 3rd Place Overall in Academics!!! 3rd Place is a really big deal, as this was a much bigger Convention, with lots of schools and students. Sean got 1st place in Science Exhibit Theoretical!! He worked so hard for so many hours at this, especially on the research part. Congratulations, Sean! This years Regional Convention was in Bolling Green, KY. All students that went have placed in at least one of their events, so they will all be going to International Convention in May. 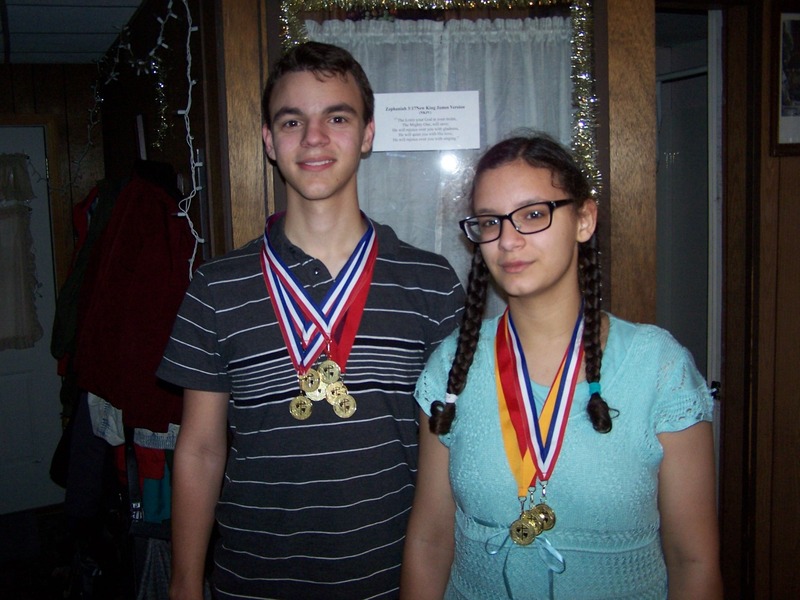 Another successful year of school for Sean and Melodie. 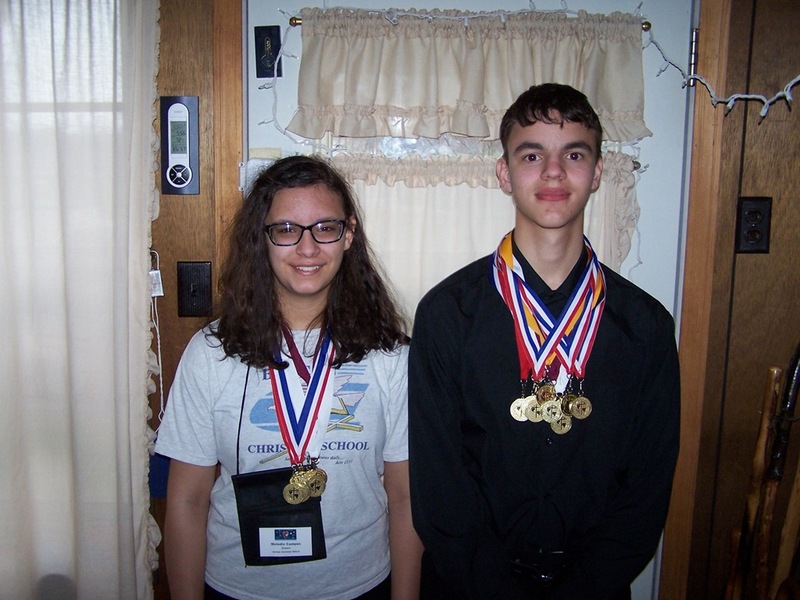 Ruth and I are very proud of them. This year’s Regional Convention was 14 – 17 March at Western Illinois University, Macomb Illinois. This was Melodie’s first year and she did very well. Both will be going to International Convention. This year Ruth and I were both able to attend the 15th and 16th day events. His Character Trait this year was “Cooperative”. He earned the 65+ pace certificate of award, he was on B honor roll, earned the “In Your Heart” medal for saying all his scripture verses. Her Character Trait this year was “Enthusiasm” which she say she go 2 years ago. 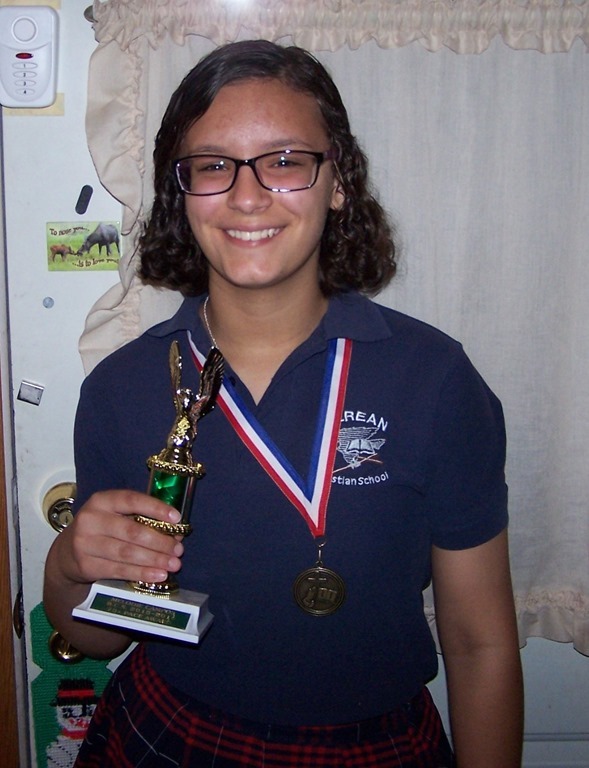 She earned the 75+ pace award, and was on A honor roll. 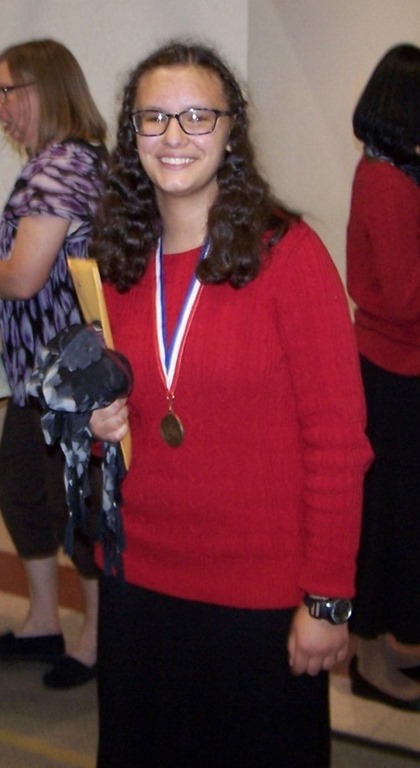 She earned membership on the 2000 club, and the “In Your Heart medal for saying all her scripture verses. 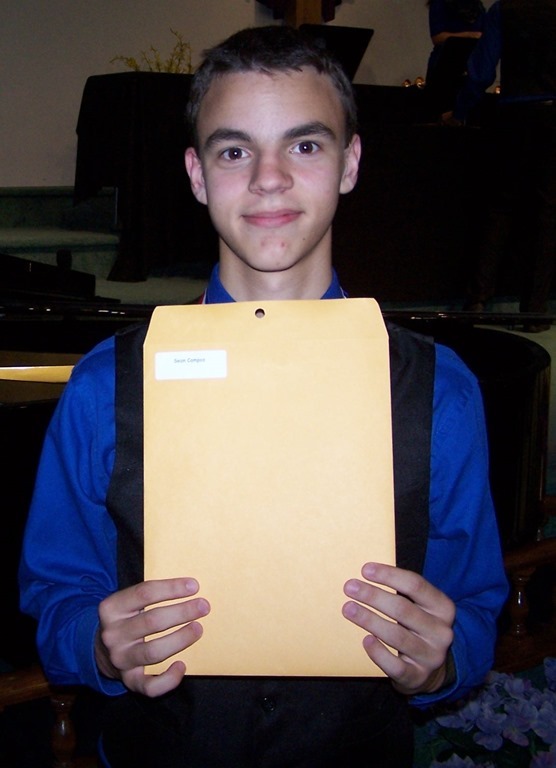 Sean-Daniel, along with his Berean Christian School classmates, competed at Regional Convention 15 – 18 Mar 2016 at Western Illinois University, Macomb Illinois. 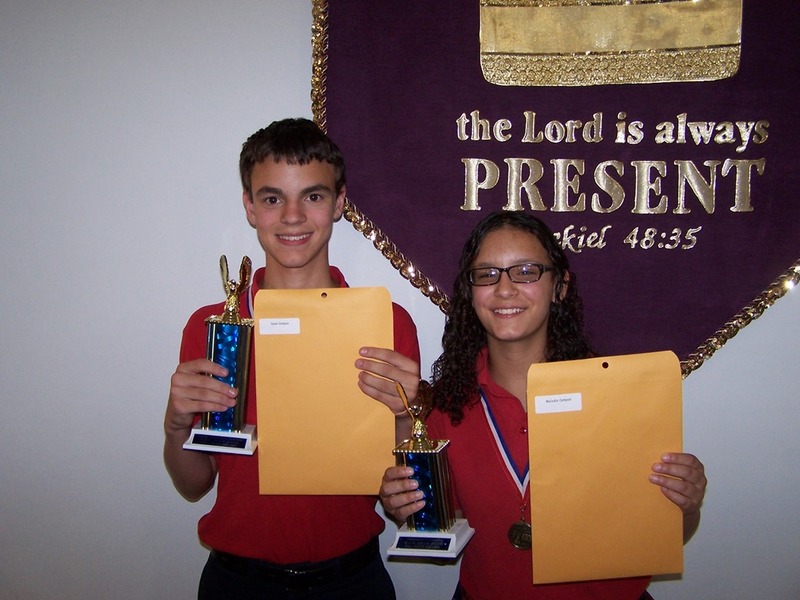 They did very well and were selected to move on to the International Convention in May 2016. 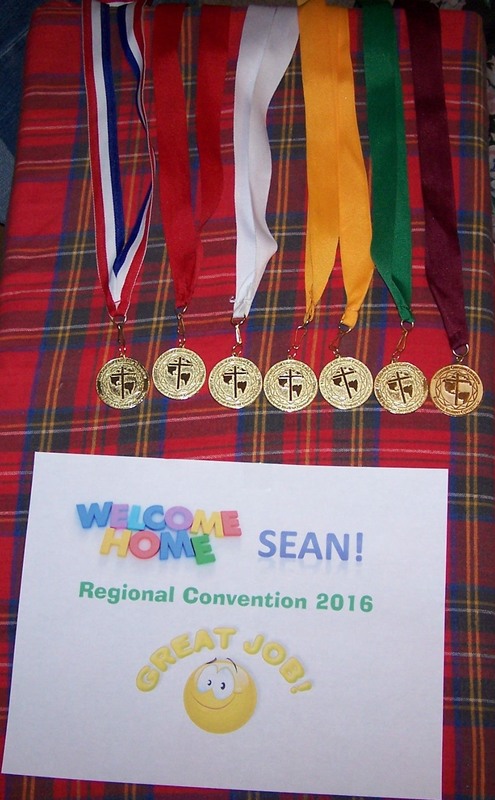 This year Sean was entered in more competitions than last year, and placed in most of them. Ruth and I are very proud of his achievements. Displayed “Responsibility” throughout the school year, earned the “In Your Heart” award, was a member of the “A” Honor Roll all four quarters, member on the 2000 Club, and earned the 85+pace trophy. 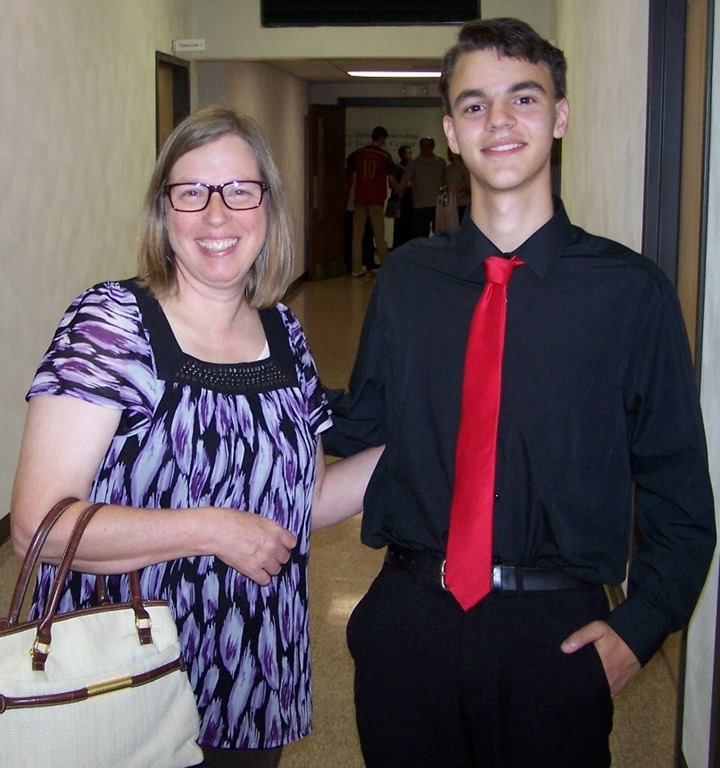 Displayed “Punctuality” throughout the school year, earned the “In Your Heart” award, was a member of the “A” Honor Roll all four quarters, member of the 2000 Club, and earned the 75+ pace trophy.